Sahibzada Mohammad Shahid Khan Afridi was born on the 1st March 1980, in Khyber, Federally Administered Tribal Areas, Pakistan, and just as Shahid Afridi is widely known as one of the best Pakistani professional cricketers and the captain the Peshawar Zalmi team. Have you ever wondered how much wealth this talented sportsman has accumulated so far? How rich Shahid Afridi is? According to sources, it is estimated that the total amount of Shahid Afridi’s net worth, as of mid-2016, is $30 million. It has been acquired through his professional cricketing career that has been active since 1996. Shahid Afridi’s cricket passion dates back to the age of 11 when he played it for the first time. Soon after, Shahid began practicing cricket at the Karachi Cricket Club, and after playing for the club, at the age 16 Shahid Afridi made his international debut in the One Day match in which Pakistan faced Sri Lanka during the four-nation Sameer Cup. In his third match, against Sri Lanka again, Shahid Afridi broke the record for hitting the fastest century in the history of ODI, scoring a 100 runs in 37 balls only. Although the record was broken again in 2014, Shahid Afridi still is the youngest player to score an ODI century. These achievements marked the beginning of the successful career of Shahid Afridi and provided the basis for his net worth. Two years later, in 1998, Shahid Afridi debuted in Test cricket, the longest form as well as the highest standard of cricket. His aggressive batting style helped him in the early stages of his professional cricket career to earn the nickname Boom Boom Afridi, as well as to gain huge popularity. In 2001, Shahid Afridi signed with Leicestershire County Cricket Club, one of the first-class county clubs in the UK. In 2003, he transferred to Derbyshire County Cricket Club for one season and in 2004, he signed with Kent County Cricket Club. All these engagements have helped Shahid Afridi to increase his overall net worth, apart from his popularity. 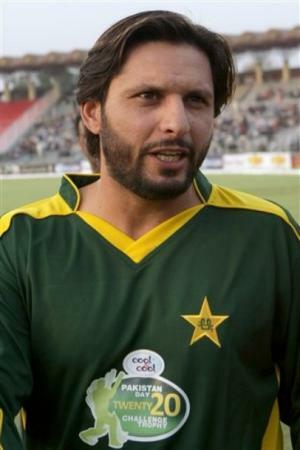 In 2009, Shahid Afridi was named as the captain of Pakistan’s National Twenty20 Team, and then also led the team in the 2011 ODI Cricket World Cup. He was appointed captain of the test team also, but quickly resigned. After Pakistan was eliminated from the 2016 ICC World Twenty20 championship before the semi-finals, Shahid Afridi resigned from all international cricket. Currently, Shahid Afridi is the captain of Peshawar Zalmi in the Pakistan Super League. All these accomplishments have made an impact on Shahid Afridi’s wealth. Apart from his professional cricket career, Shahid Afridi also appeared in “Main Hoon Shahid Afridi”, a 2013 Pakistani sports drama about a boy who is dreaming to become Shahid Afridi. When it comes to his personal life, Shahid Afridi has been married to Nadia since 2000, with whom he has four children, all daughters. Shahid Afridi is also the founder of Shahid Afridi Foundation which is focused on providing education and healthcare facilities all over Pakistan, and was considered as one of the Most Charitable Athletes by DoSomething.org. Shahid Afridi was honored with two Lux Style Awards as the Most Stylish Sportsperson, in 2007 and 2011. 1 Favourite shot: Anywhere for Six.